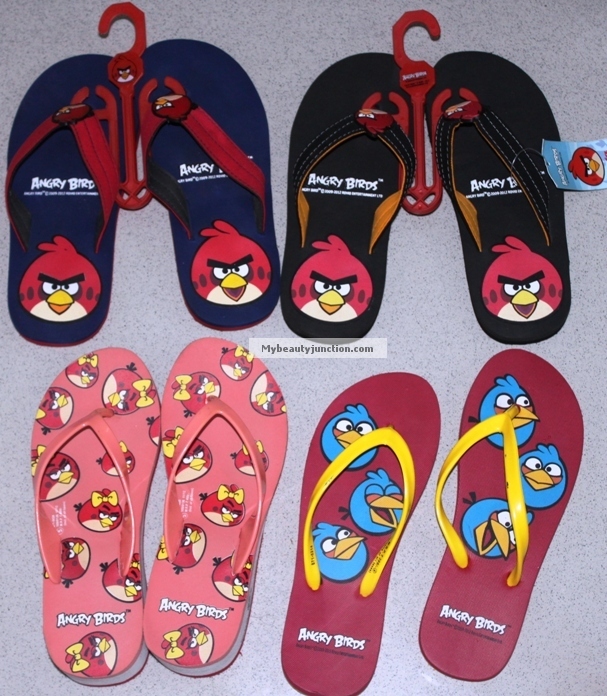 When I saw the Angry Birds on flip-flops I couldn't resist getting myself some, despite two of them being one size larger than my size (37 or 4). The orange pair is with heels, the others are all flat. Cute? Or juvenile? 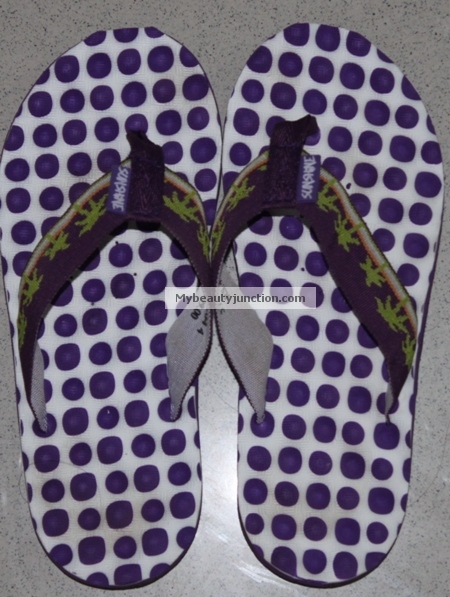 And this white and purple polka-dotted pair of flip-flops is my current favourite. Incredibly comfy.